Click the button below to view the bulletin for Sunday, April 7, 2019. Inside you will find information on upcoming events as well as the ongoing news of the parish. Congratulations to the 21 adults from our parish who participated in last weekend’s Light of the World Retreat. We continue to pray that this experience will renew and deepen your faith in Jesus Christ as we prepare for Holy Week and Easter. Many thanks to the LOTW Retreat team who led this weekend experience. 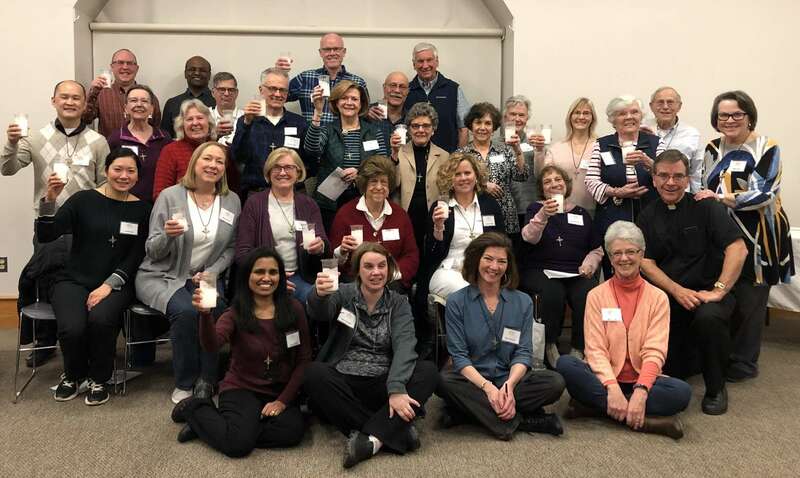 Ninety-four parishioners have now participated in a LOTW Retreat! Plan to join us for our next retreats in the Fall of 2019 and Lent of 2020. Below are a few photos from last weekend. Every year for the last 3 years at St. Mary's, during Lent, we schedule a Lenten meal packaging program with an organization called Rise Against Hunger. They are affiliated with Catholic Relief Services. There are countries in the world that are so affected by war, drought and other natural disasters that the amount of grain produced in those countries. is not enough to feed the poor. We package food for those people and it is shipped to the countries that need it. The food is handed out directly to the families. Each meal consists of rice, lentils, dehydrated vegetables and a packet of vitamins. We will be packing meals in the parish hall (cafeteria). We will need a few people who can lift 50-pound bags of food for set-up. They will need to arrive at 1 and help with set-up and packaging. Those who are only able to package will need to arrive at 2:00 or a few minutes before 2:00.